I haven’t glued the pieces down yet, as I feel it may need a tweak or two. I’m gonna let it cogitate for awhile. 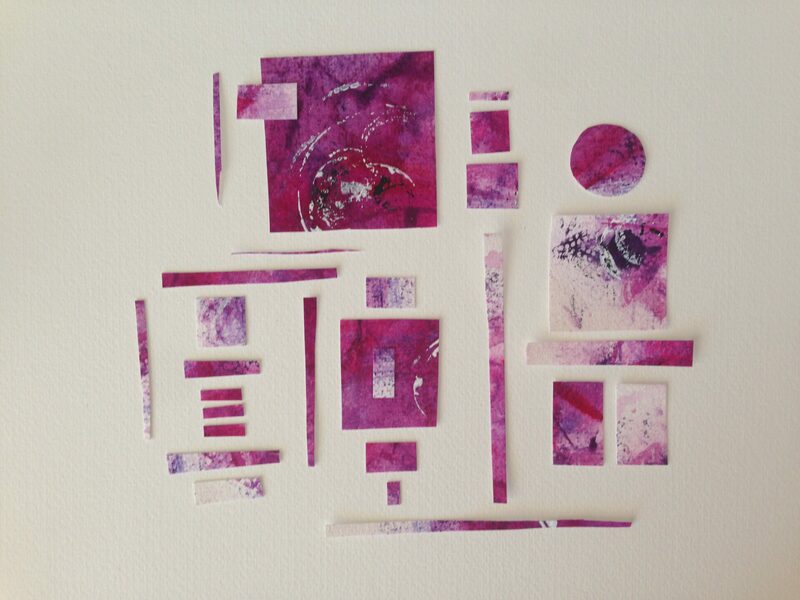 The original piece was so saturated with color, while this collaged piece leaves lots of space for the eye to rest, something it really needed, I think. It feels restful and peaceful to me, even with so much vibrant magenta humming through it. I’d love to hear what type of feelings this might bring up for you. Maybe it makes you feel like dancing, hehe. 🙂 We can only hope, right? Have a wonderful week! 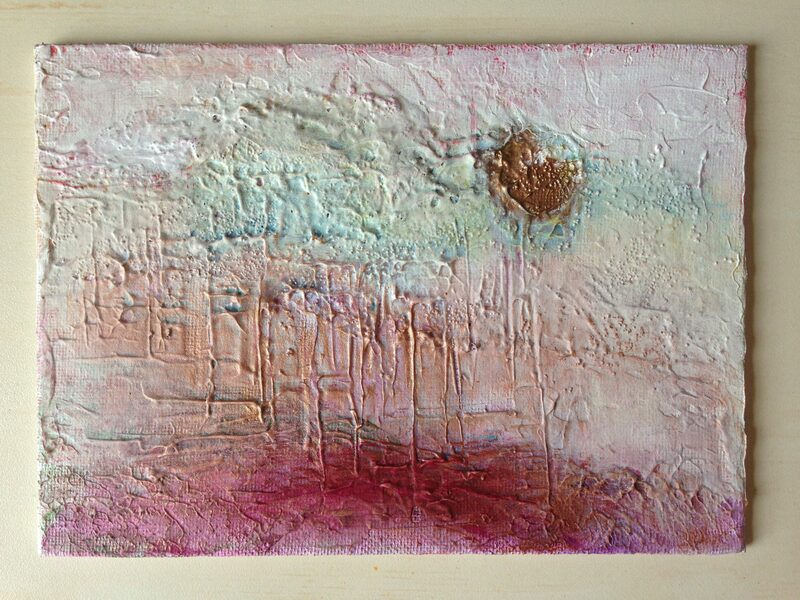 This is mixed media on 1/4 sheet of watercolor paper. Yes, 11 x 14″, the largest I’ve gone yet! I had some angst in my spirit, and so I folded a large sheet of watercolor paper in half both ways so I could swing my arm and fling some paint. I’m working around the color wheel. And having lots of fun! I hope you enjoyed, as there will be more to come! I originally created this to go into a collage or other mixed media application, but when I was finished……oh, who knows, maybe I’m not finished. Not sure if I should call this a painting or cut it up for something else. I’d love to get your thoughts. Peace and happy Sunday to you! Oh, I’m addicted to texture products! 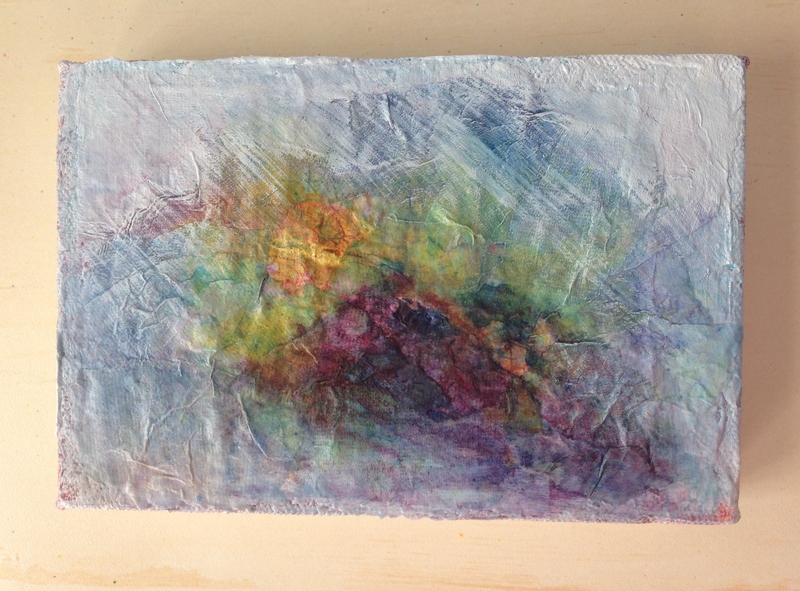 It took me awhile to understand what gel mediums do, what texture mediums do, and how the different paint formulations behave….I guess now that I understand, I want to keep experimenting! If you’d like more information about this too, I can highly recommend Chris Cozen’s videos on Artists Network TV, as well as her books. Also, Nancy Reyner has a terrific book called “Acrylic Revolution” that I believe Jill from Jill’s Art Journal told me about. Jill, you nailed it; it’s a wonderful book, with lots of techniques and great illustrations too! Chris and Nancy are both Golden working artists and educators, and they know their stuff. This is another painting do-over. 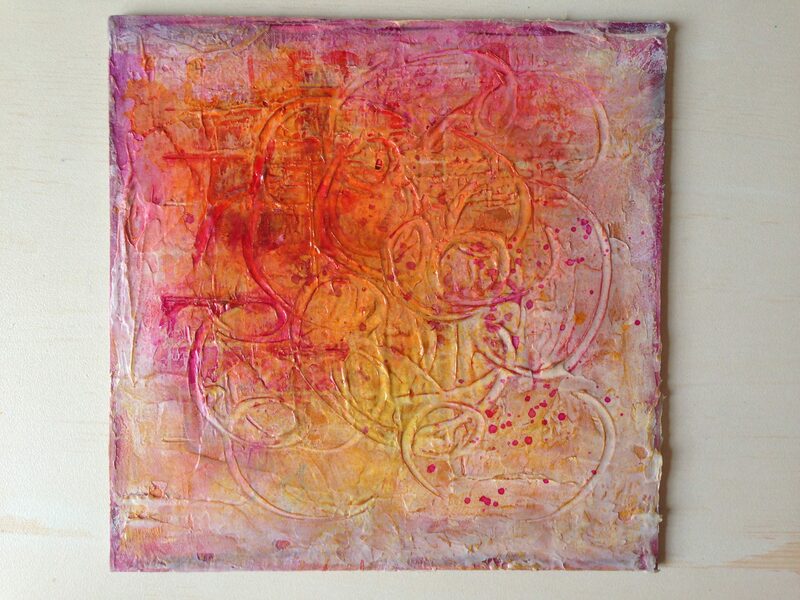 It was a texture experiment gone wrong on a 5″ x 5″ Ampersand Gessobord and so I needed even more texture to wipe the slate clean, so to speak. 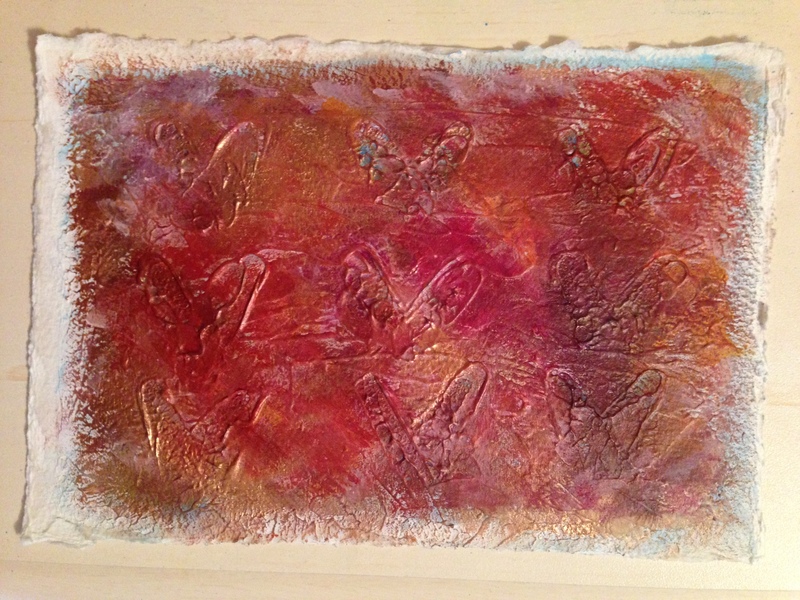 I spread a layer of Golden molding paste on the painting first. This product dries opaque, leaving no show through from the painting underneath. Next, I embedded a scrap of 1/2″ grid hardware cloth from Hub’s wood shop into the painting, lifted it up, and then turned it and impressed it again. This gave me all of those great texture lines. After it dried (several hours), I dripped some Dr. Ph Martin’s Bombay India ink in, sprayed it with water, and moved the painting around, allowing the ink to follow those grid lines, highlighting them. Where the ink was a bit too strong or became soupy, I sopped it up (on paper towels I will save, thanks to Kerfe’s great inspiring post yesterday), and wound up refining with some Golden fluid acrylic paints. I think I may have gone a bit too far with Quinacridone Burnt Orange, but I can always go back, add Titanium White, which is very opaque, and have another go with the colors. Or I may leave it as is. What do you think? Blick’s Free Shipping offer for orders of $45 or more is extended through 11:59pm Pacific Time tomorrow, for anyone interested. Purchases from these links support my site. I hope we are all having fun with our art supplies. For too long, I saved them and didn’t want to run out. So I rarely used them. Boy, that is just not part of my vocabulary anymore. Art supplies are the jungle gym and the art world is a playground, and I am gonna enjoy it. How about you? I can smell the weekend! Happy Thursday! Peace. This one started out as a painting fail from several months back that I almost wanted to remake as soon as it was posted. I fished it out of the pile the other day and added some Golden Molding Paste to it to cover what was below, and then drew swirls into the paste with the back end of a paintbrush. I really love the Dr. Ph. Martin’s Bombay India ink set I bought, but it is extremely strong. I decided to make my own homemade spray ink by adding drops of it into mini mister bottles partially filled with water, and adjusting the mixture until I was happy with the strength of the spray coming out. This turned out to be an extremely inexpensive way to make wonderfully vibrant spray ink! And you can see how strong the colors are. It also gives you the opportunity to mix up your own colors. 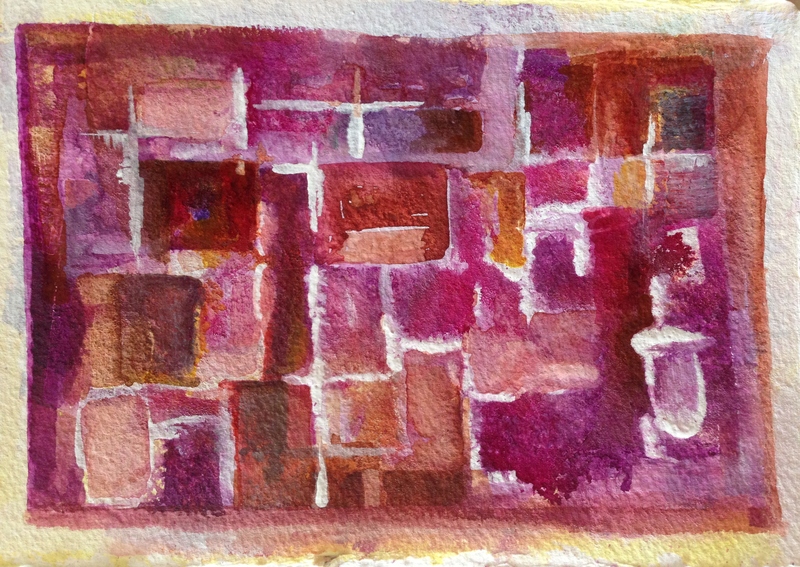 (I recently bought a box of 50 small spray bottles very inexpensively on Amazon (only 32 cents per bottle), and plan to make lots more little bottles of spray ink, as combining the colors and watching them mix on the painting was so much fun.) This is not only inexpensive, but a fun and easy way to custom make a spray ink (in this case, multiple colors to play together) especially for your project. I do feel this painting needs a stronger focal point, so I may add a blackbird or crow in the lower right corner. 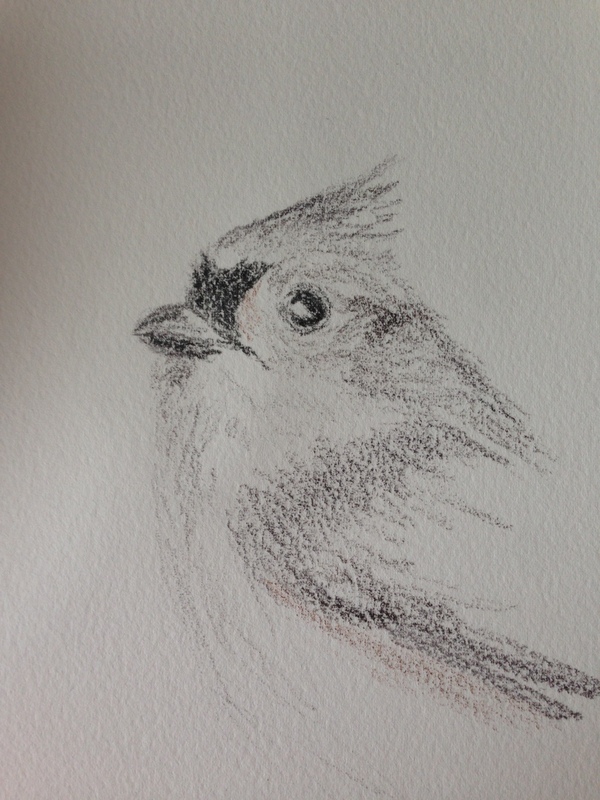 Speaking of which, the August issue of Draw A Bird Day comes to your WordPress screens this Monday, August 8! I hope you will help us make WordPress fly by posting your bird art then! I will do a roundup mid-month with a link to everyone’s beautiful artwork. Note to my fellow art supply addicts: Blick Art Materials has extended Free Shipping on orders of $45 or more through this Friday, August 5! Friends don’t let friends pay for shipping if they can avoid it. 😀 Purchases from these links help support my site. Enjoy and thank you! We made it to the halfway point of the work week! Blessings to all for a wonderfully productive rest of the week! Peace. I experimented awhile back with Liquitex Glass Bead gel, which is one of the first acrylic mediums I bought months ago. I think I fussed too much with it, and wasn’t happy with the result. The painting needed a remake rescue. Enter Golden Fine Pumice Gel, which is my favorite of all of the acrylic mediums I’ve tried so far. If you look closely, you can still see some of the tiny glass beads from the bead gel underpainting scattered around, giving texture to the finished piece. I couldn’t resist adding Golden fluid acrylic paint in Iridescent Copper light fine. I just love a bit of metallic paint here and there, love the depth and pop those paints create. 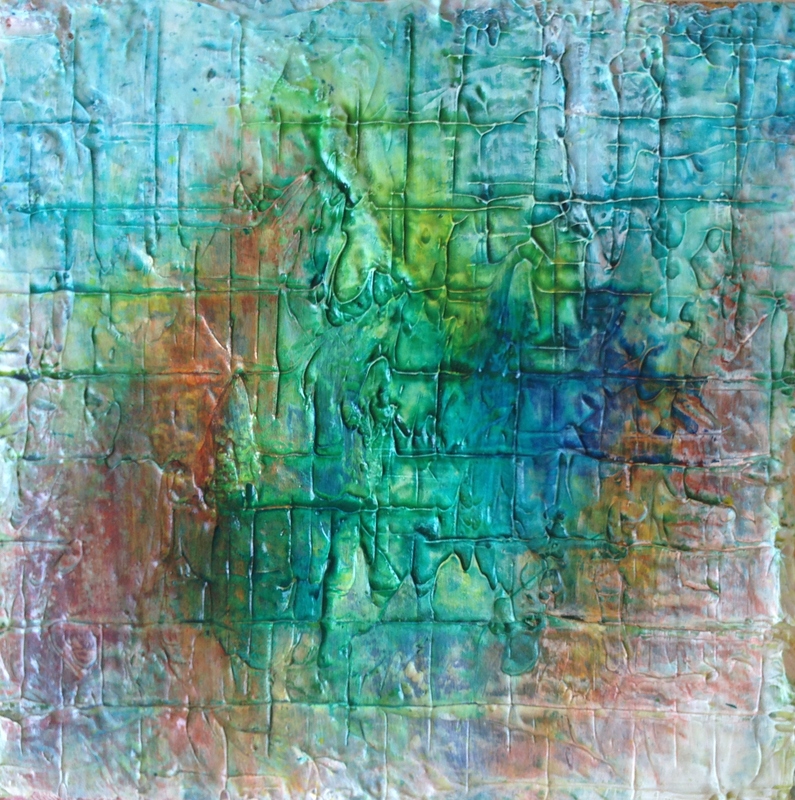 And I love all of the lines I see from using my palette knife in the wet Fine Pumice Gel. This is such a wonderful medium, I am in total love with it. I hope you will be too, because I bought a 32 oz. jar, and plan to make good use of it! I still see fine tuning to be done, and perhaps too much of the underpainting shining through here and there, but considering where this painting started out, I am happy with the progress so far. 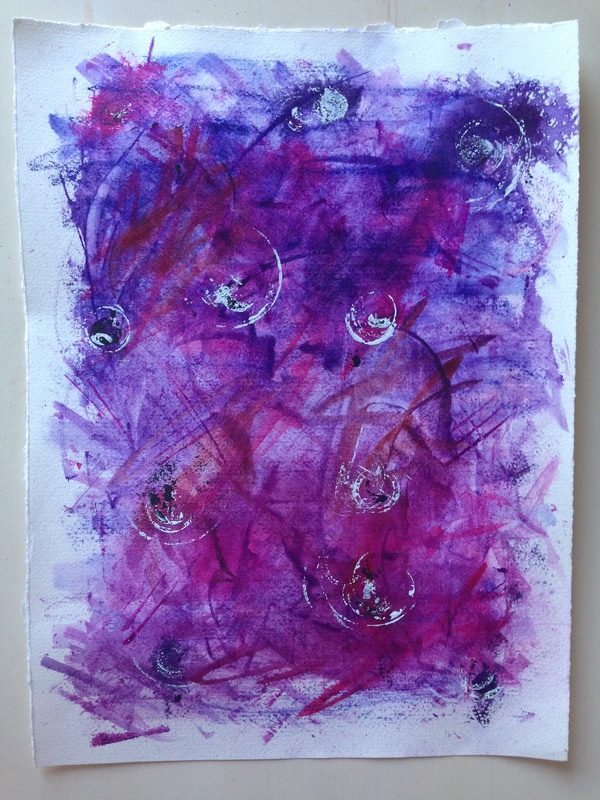 Plus, it gave me a chance to use my favorite Golden Quinacridone Crimson and Quinacridone Violet Fluid Acrylic paints! Such depth, especially with a bit of that Iridescent Copper light mixed in. Dreamy and creamy! Note to my fellow art supply addicts: Blick Art Materials has extended Free Shipping on orders of $45 or more through this Friday, August 5! I don’t know about you, but this makes me very happy. I love to pay rock bottom prices for art supplies and pay no shipping. With a no-questions-asked return policy, even on open items…..for one year. You just can’t beat it! Yes, I am a paid affiliate now, but I would say the same things, paid or unpaid, about Blick. Their service, prices, and selection are top-notch! Yes, I am having a love affair with acrylic paints and mediums. Hub is aware of my two-timingness, as I did a sanity check with him before ordering a 32 ounce tub of the Fine Pumice gel! I had completed yesterday’s painting, and then had a nice little makeover with this one, and decided to go a little hog wild! Looking forward to more mad scientist experiments with Fine Pumice + loads of other textures, media and everything but the kitchen sink! Peace, and have a great week. That song is stuck in my head from working at this, really trying to make this painting “become” what it wants to be. The lines of communication just weren’t there, and I couldn’t hear what it was trying to tell me. All I could hear is that song “Mama said there’d be days like this, there’d be days like this, mama said….” This is 5 x 8″ 300# Arches cold-press. The good news is, this has turned from a watercolor painting (yeah, it’s underneath, somewhere) to an acrylic painting, and with acrylics, it is never over. Amen, brother Ben, and please pass the sauce! Every painting is a journey. Some journeys never get there, and we just have to turn the page, and know that the sun will rise tomorrow! 1. I truly love Quinacridone Burnt Orange. 2. I love texture products. OK, I already knew that. 3. Yeah, that’s probably it. Note: As a Blick Art Materials affiliate, purchases from this link helps to support my site, and a fledgling art business. Enjoy, and many thanks. This weekend, I’ll be posting my round-up from the fabulous bird art we saw on July 8, when we last celebrated Draw A Bird Day. Peace and happy WEEKEND to all! Because it’s World Watercolor Month, I began with a background wash of M. Graham watercolor paint (azo yellow, quinacridone gold, bit of yellow ochre). After it dried, I went back in with Golden fluid acrylics (they’re the consistency of heavy cream, and oh, so vibrant; my favorite of all of the Golden paint formulations) and Caran d’Ache neocolor crayons. And then several layers later, we have this! I never know where these abstracts are going to go, and I’ve learned that making a plan ahead of time isn’t the way for me to work. I may sleep on this one and see if I need to lighten some areas, but I like where it’s headed so far. Happy Saturday evening to all. May your skies be sunny, your breezes be warm and comforting, and your palette be full and welcoming. Peace. 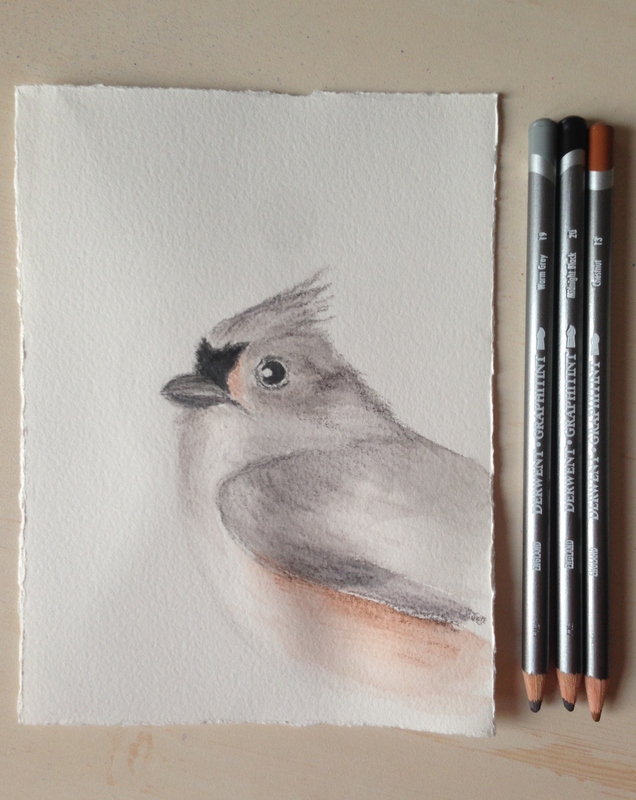 Watercolor Pencils for Nature Lovers (and 100 Face Challenge #66)! If you’re a little insecure about working with watercolor paint, but you enjoy natural subjects as I do, then watercolor pencils may be a medium to consider. 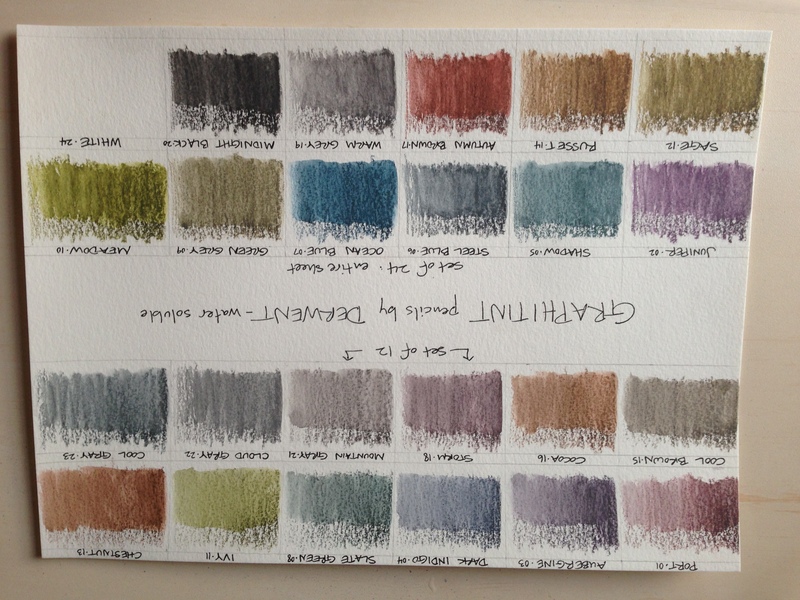 These Graphitint pencils by Derwent, swatched out on the sheet above, were on my Christmas list last year. This YouTube video by The Mind of Watercolor (great channel, by the way) sold me on these pencils. The full set contains 24 pencils, but they also come in a starter set of 12, which are the colors in the top half of the photo. Each pencil is water soluble, and contains a bit of graphite in addition to the watercolor pigments, lending an organic feeling to your work. Watercolor pencils were the first artist quality supplies I purchased nearly two years ago, because they gave me a feeling of security and control as a watercolor beginner. Sharing in case this may help someone else out there, too! Blick is offering free shipping on orders of $35 or more through Friday of this week, which saves you $4.95, their flat rate shipping charge. The set of 12 Graphitint pencils is priced at about $16.50 at Blick, the full set, under $38. A sweet deal, as these pencils will probably last me at least 10 years or so, probably more! (Note: As a Blick affiliate, purchases from these links help to support my site.) Are you gearing up for World Watercolor Month yet? Can you believe it starts on Friday?! Followed by a loooong holiday weekend in the States! So exciting! I may review the Derwent Inktense line of water soluble pencils tomorrow. The colors in that set are really bright and vibrant, and have some unique properties I think you’ll be glad to hear about, too! I hope you have a wonderful Tuesday, and that you do something special for yourself today. You deserve it! Peace.